The third part has been published here. 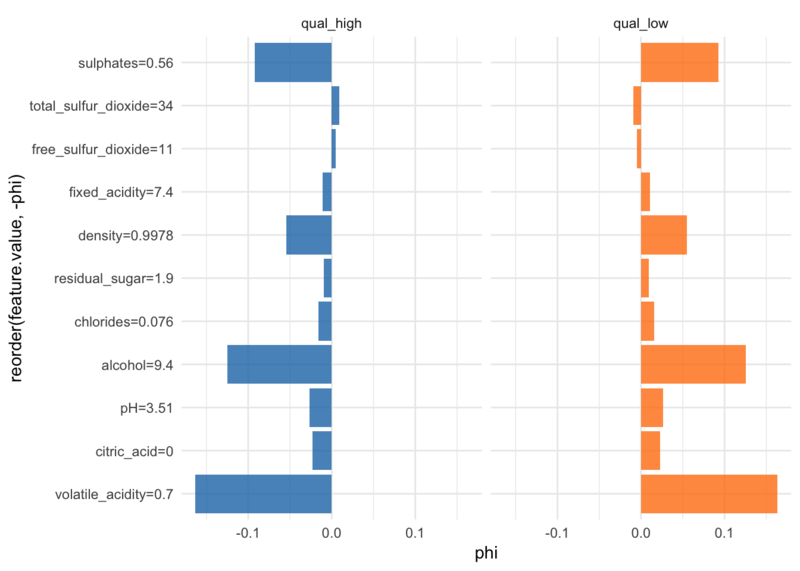 The first step in my machine learning workflows in exploratory data analysis (EDA). 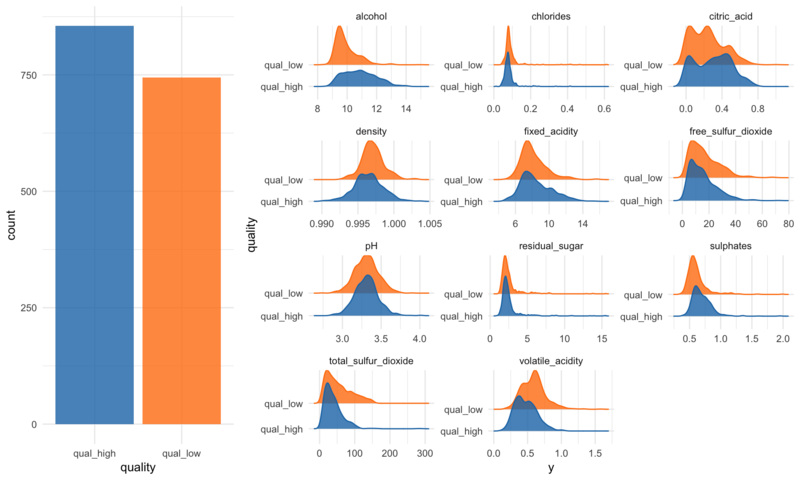 This can get pretty extensive, but here I am only looking at the distributions of my features and the class counts of my response variable. 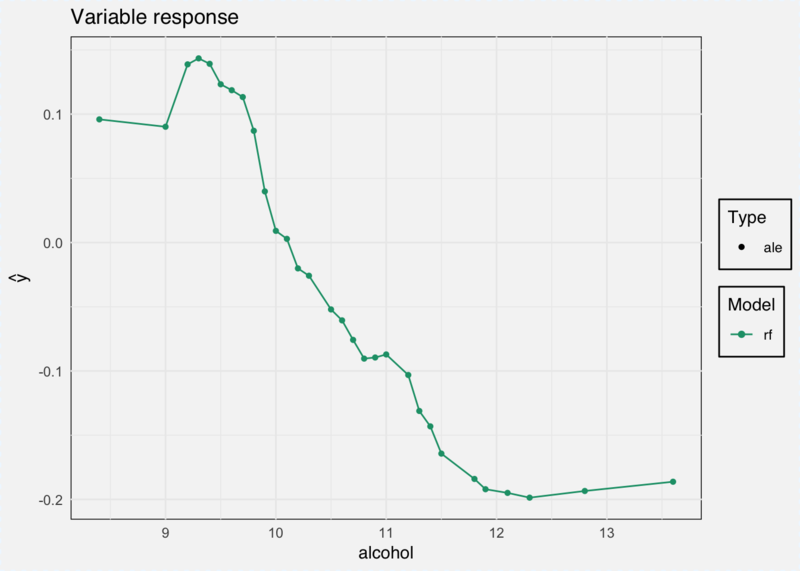 For modeling, I am splitting the data into 80% for training and 20% for testing. I am using 5-fold cross-validation, repeated 3x and scale and center the data. The example model I am using here is a Random Forest model. Okay, this model isn’t too accurate but since my focus here is supposed to be on explaining the model, that’s good enough for me at this point. There are several methods and tools that can be used to explain or interpret machine learning models. You can read more about them in this ebook. Here, I am going to show a few of them. In order to work with iml, we need to adapt our data a bit by removing the response variable and the creating a new predictor object that holds the model, the data and the class labels. Now we can explore some of the different methods. 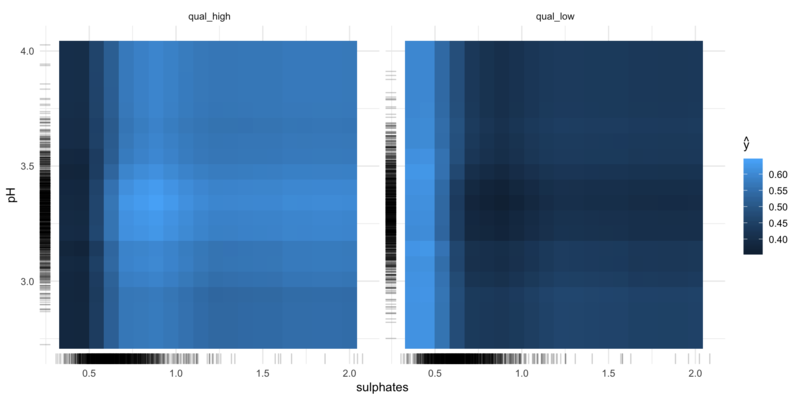 Let’s start with partial dependence plots as we had already looked into feature importance. 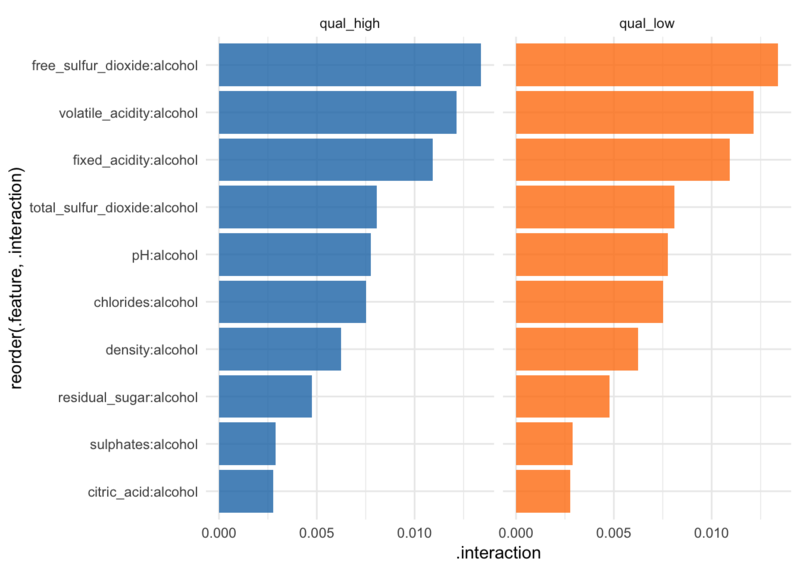 All of these methods have a plot argument. 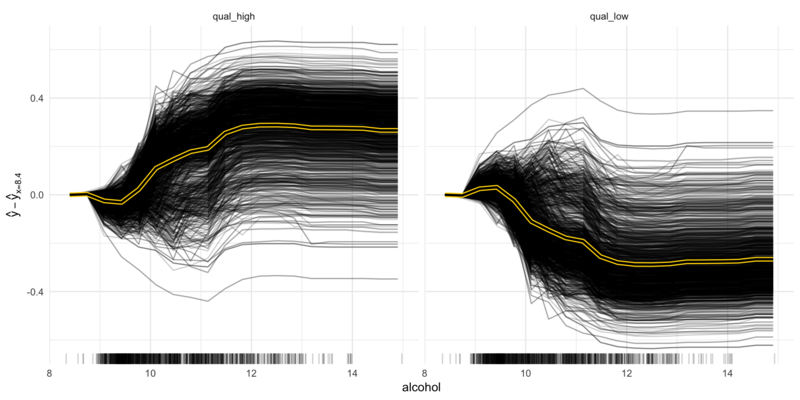 However, since I am writing this for an article, I want all my plots to have the same look. That’s why I’m customizing the plots I want to use in my article as shown below. 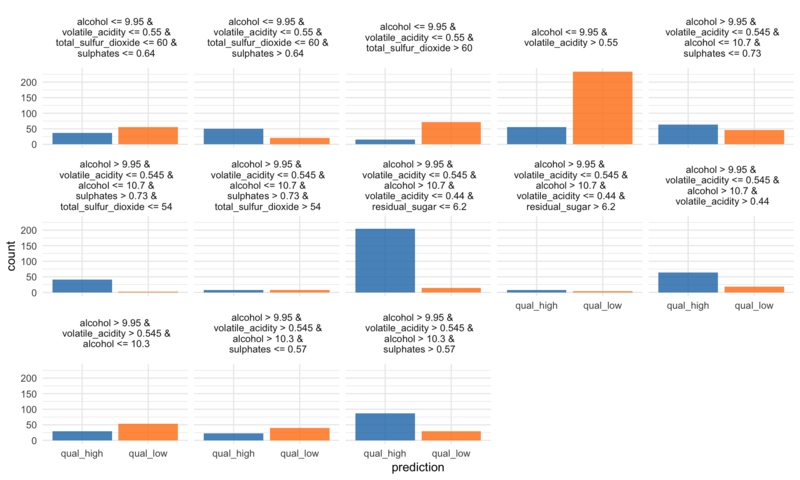 The tree surrogate method uses decision trees on the predictions. 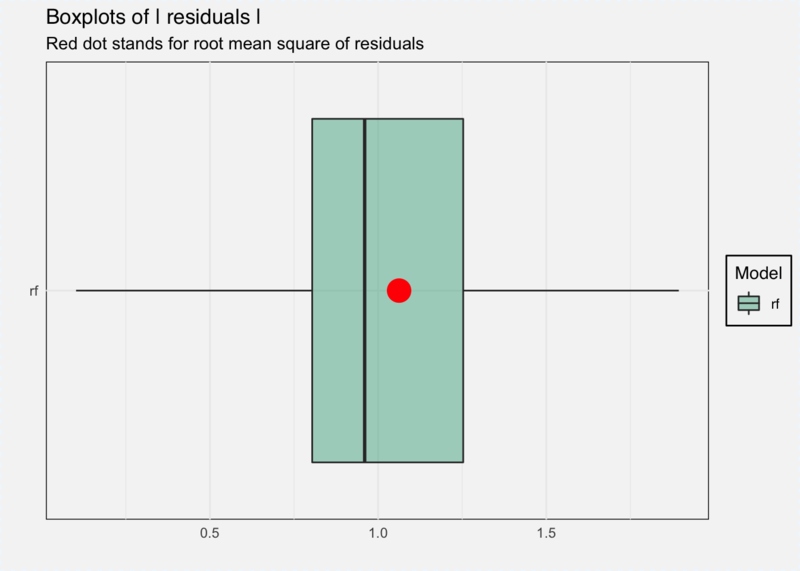 The R^2 value gives an estimate of the goodness of fit or how well the decision tree approximates the model. LocalModel is a implementation of the LIME algorithm from Ribeiro et al. 2016, similar to lime. Another way to interpret individual predictions is whit Shapley values. More information about Shapley values can be found here. 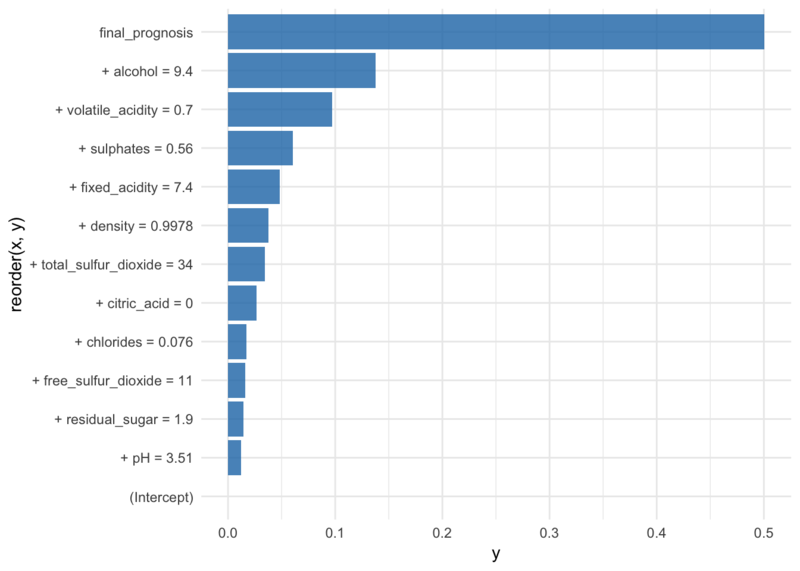 The broken() function decomposes model predictions and outputs the contributions of each feature to the final prediction. 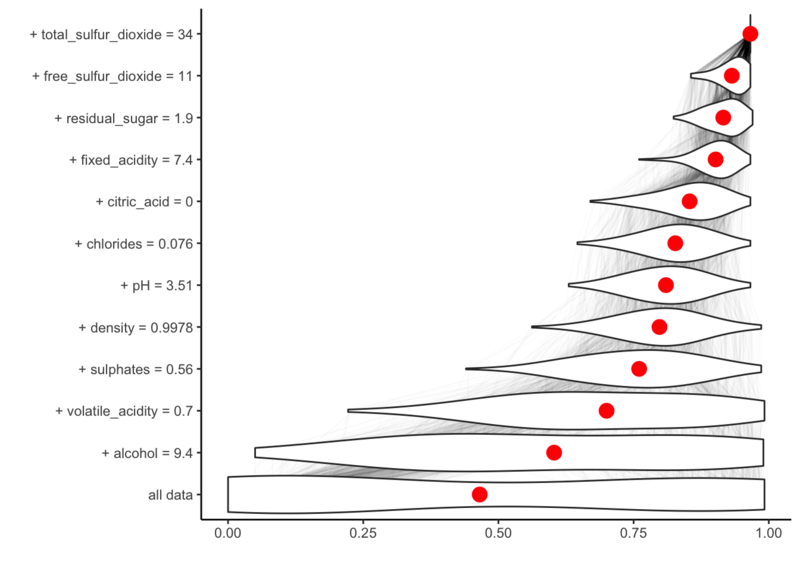 If we set keep_distributions = TRUE, we can plot these distributions of partial predictions, as well as the average. 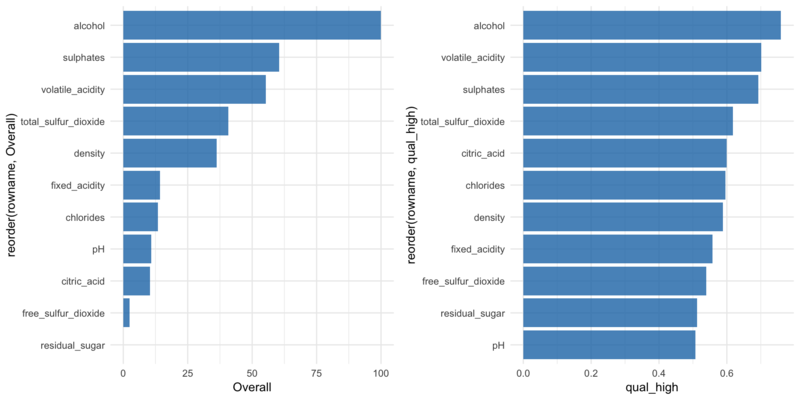 The third package I want to showcase is DALEX, which stands for Descriptive mAchine Learning EXplanations and contains a collection of functions that help with interpreting/explaining black-box models. We first create an explain object, that has the correct structure for use with the DALEX package. 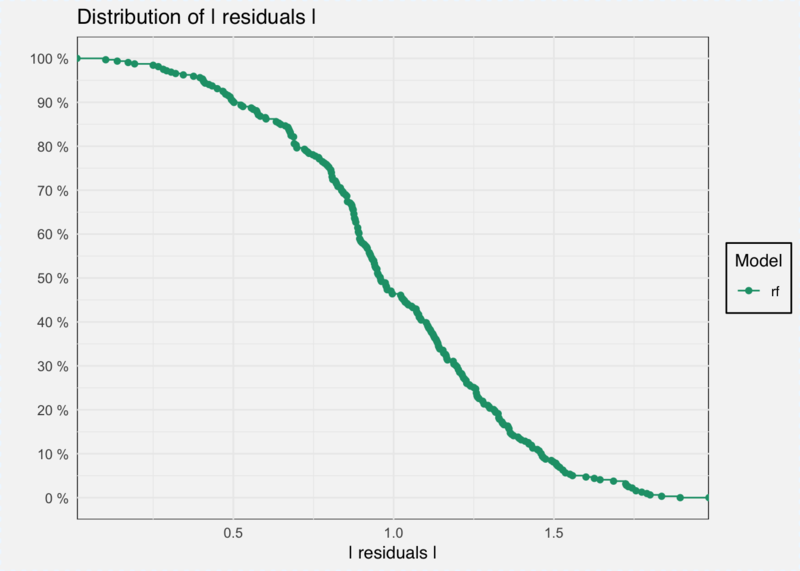 With DALEX we can do several things, for example analyze model performance as the distribution of residuals. Feature importance can be measured with variable_importance() function, which gives the loss from variable dropout. 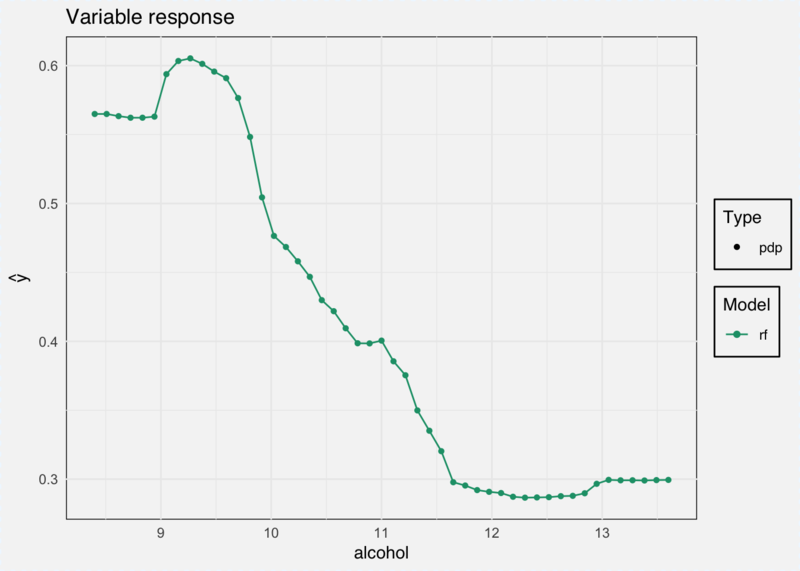 And we can calculate the marginal response for a single variable with the variable_response() function. 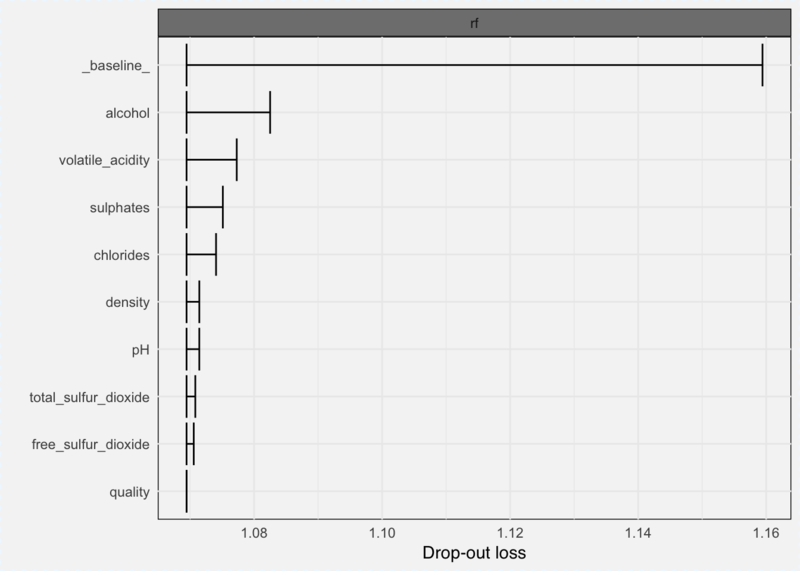 As type we can choose between ‘pdp’ for Partial Dependence Plots and ‘ale’ for Accumulated Local Effects.